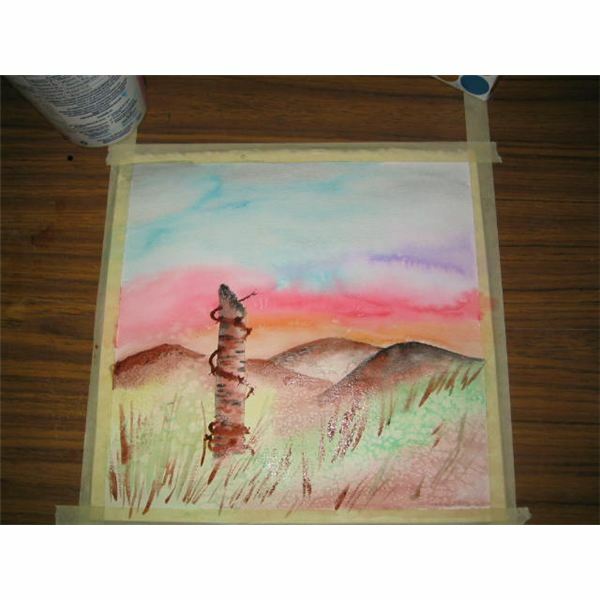 This watercolor painting is an easy project to do in spring or summer time. 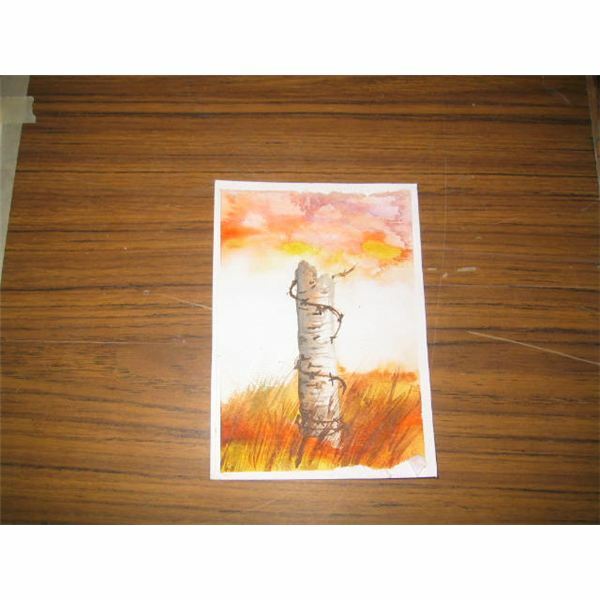 Students will find it easy to create sky and hilly background with some wheat in the field and a fence post. Painting techniques for the fencepost and wheat are also simple to achieve. 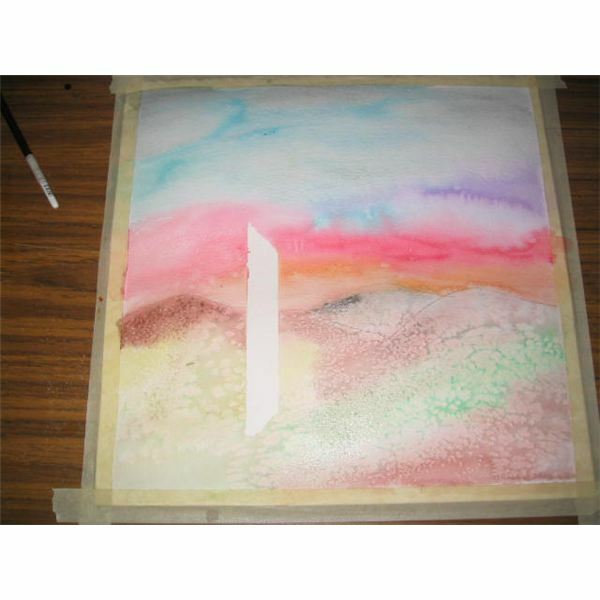 This is a realistic watercolor project. 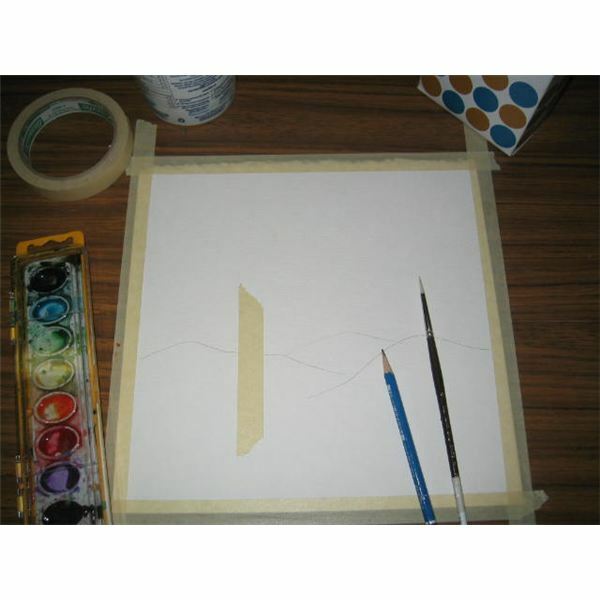 Using the masking tape and ruler, tape a border around all 4 sides of 8½ by 11 watercolor paper. Tape it to a work surface such as a hardwood board or an old tile, so that it can be picked up. You can use 4½ by 6½ inch paper to create a smaller version. Then tape a vertical piece of masking tape to the paper for a fencepost. One edge of the tape should be ripped to create a rough edge. Sketch in a horizon a few hills behind the masking tape. Paint the sky background in blues and yellows in the sky. You can paint only the upper 1/3 of the sky and leave a white space before painting browns and greens for the hilly ground. The darker shade of color should be painted at the top of the hills. Immediately sprinkle some table salt on the hills to create a special effect. Let the background dry. Wipe away the salt. 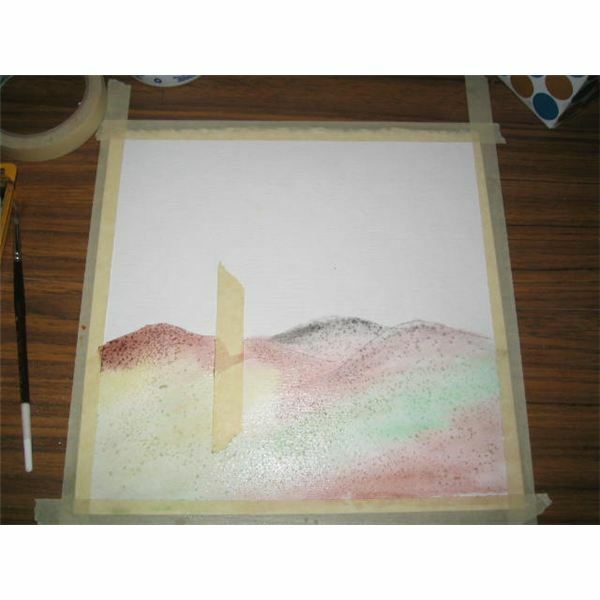 Remove the tape from the center of the paper to paint in the fencepost. On the left side of the post, paint a dark brown or black color. Remember to wet the area with clean water first. Hold the painting sideways and tip it so the paint runs to the right. This painting technique will create a birch bark effect. Paint in yellow or light brown, touching the first color so the colors blend together. Fine details such as black at the top of the fencepost, lines on the birch bark will be added later, once the first colors painted on are dry. Once the fencepost is dry, with the fine brush (#0), paint a piece of barbed wire around the fence post, showing the little barbs. Paint the top of the fencepost a darker black or brown to define the edge. Paint tiny fine lines in black or brown across the post to make it look like wood or an old tree stump. You can also darken in the tops of the hills with brown or black. Finally with long wispy lines, paint brown or green grass in the ground near the fence posts to look like long grass, weeds or wheat growing nearby. 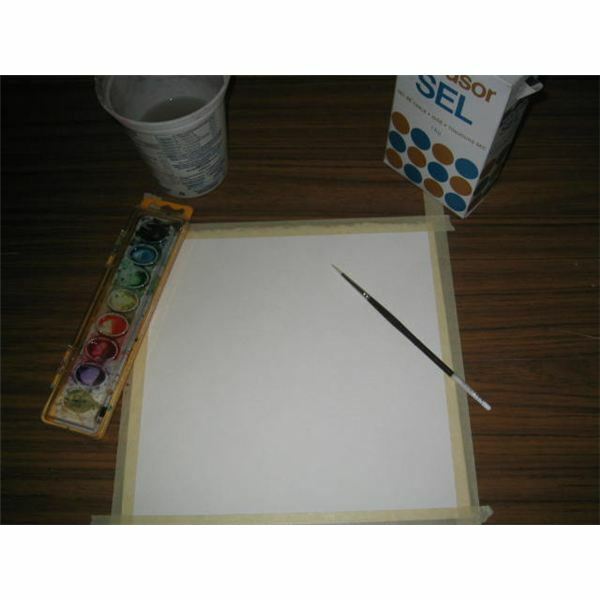 Use watercolor paper, watercolor paints and brushes as suggested in part 1 of this series. Keep the brush out of the water when not painting. 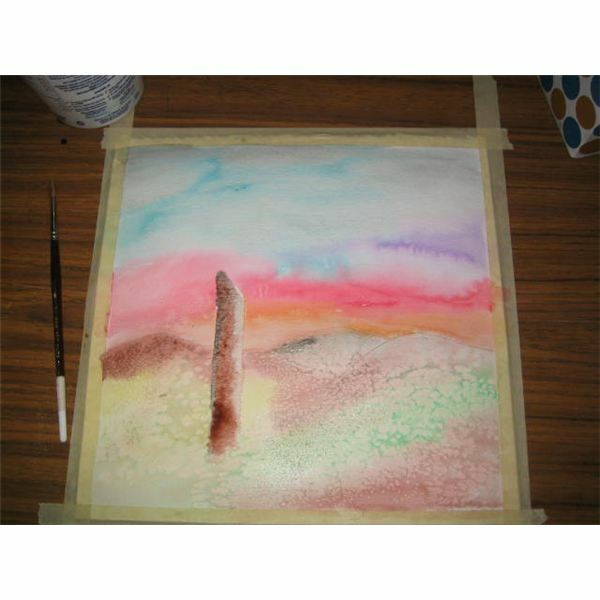 Sponge up excess water from the painting by putting the brush on the water and dabbing it onto a paper towel. 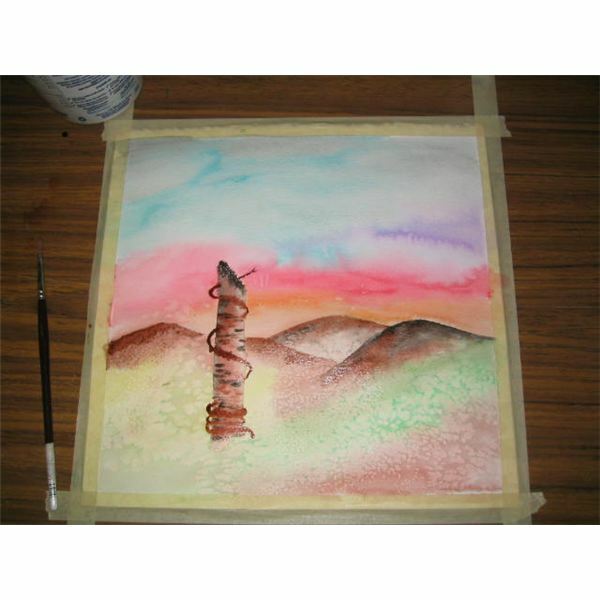 Paint the top 1/3 of the paper as sky in oranges and yellows, then leave a blank area, then paint the bottom 1/3 of the paper with hills. This creates a sunset effect and simpler look. Paint the fencepost to look like birch bark by painting it in blacks and whites. Use this project to teach about perspective. If students want to create a second fencepost in the distance, it should be shorter and narrower as you approach the horizon. Use this lesson to teach about creating 3 dimensions, by having the wire wrap around the fencepost and disappear behind the post, rather than straight across the post. 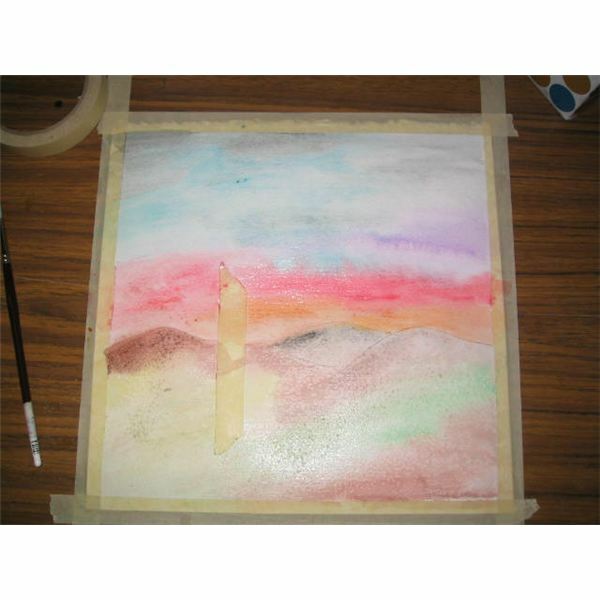 Use the lesson to teach about warm colors such as red, orange, yellow and brown as in a sunset background. The colors purple, red and pink can be used in sunsets also. Different amounts of dust particles in the air create different kinds of sunsets. 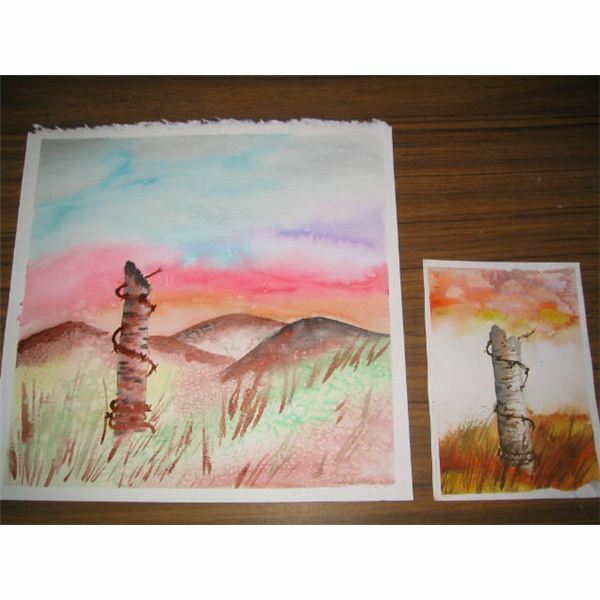 This simple and easy watercolor painting project will be enjoyable for the student who wants to create a realistic birch bark fencepost in a summer scene. The background painting techniques are easy to follow and create beautiful results. Suggestions for colors and effects help students create a nice finished scene that they will want to frame when done.